My patients will always come first, but the future of medicine requires the health sector to adapt with the business landscape. Patient satisfaction and quality improvement are here to stay, and physicians must embrace the challenge to succeed and bring high quality care to our patients. My research interests started during my undergraduate years at University of Notre Dame, where I majored in science and business. I have always had an interest in merging my business background with patient care. My patients will always come first, but the future of medicine requires the health sector to adapt with the business landscape. Patient satisfaction and Quality improvement are here to stay and physicians must embrace the challenge to succeed and bring high quality care to our patients. In undergrad, I worked on my basic research skills as a research assistant in the Environmental Biology lab analyzing the red oak genome. I gained experience using PCR and I was exposed to bench research. Following completion of my undergrad, I looked for ways to use technology in patient centered projects. Capturing our patient population has presented a challenge that has interested me since medical school. At the University of Toledo, I worked on a Parkinson’s Environmental Study analyzing the relationship between environmental exposure and Parkinson’s disease. Patients and their families where surveyed using PDAs in the clinic. My work in medical school has continued into fellowship where I am working on a pilot project that uses software in the clinic setting to educate our patients on treatment related issues. The goal of this study is to study both patients’ satisfaction and gain of knowledge, when using different forms of education materials. As a neuro-oncologists, we must be active in clinical trials as well as writing manuscripts in an effort to stay abreast of changing treatment regimens to better care for our patients. In residency, I prepared a manuscript and presented several quality assurance projects to my fellow residents and faculty members. My senior residency research project abstract was accepted for the 2014 Society of Neuro-Oncology (SNO) Annual Meeting. The project analyzed the association between Beta-2 Microglobulin and CNS Lymphoma. In addition, I will present an additional abstract a SNO Annual Meeting that I worked on during my fellowship at Duke, which discusses the use of bevacizumab in the treatment of patients with Glioblastoma. I have recently submitted a manuscript to Future Science Group which evaluates the use of bevacizumab in recurrent Glioblastoma. The practice of medicine requires life-long learning. Our education requires the ability to instruct others as well. Physicians must have the ability to educate whether it is to residents, medical students, members of the patient care team, or our patients and their families. I served as a teaching assistant and tutor during my time at Notre Dame. 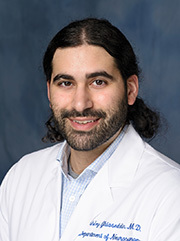 In residency, I continued to provide teaching to medical students as well as present lectures to residents in both internal medicine and psychiatry. For the 2012-2013 academic year, I was identified as an outstanding educator by the medical students at Indiana University. During fellowship, I have continued my love for education by working with undergraduate students at Duke University in the outpatient clinic setting. The role of educator is a responsibility that I cherish and will continue to serve to the best of my ability. Leaders are not born, but they are created through hard work and discipline. I have been lucky to be exposed to leaders in the field of medicine during my time in medical school, residency and fellowship. 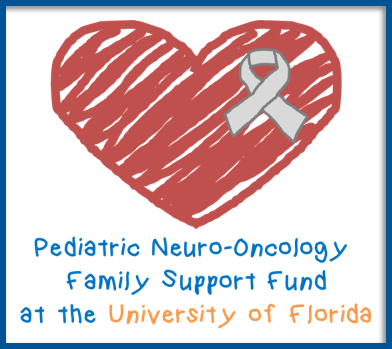 I am committed to furthering the field of Neuro-Oncology. I feel strongly that physicians have a duty to serve and further the health system they work for. I am interested in participating in administrative committees during the next stage of my career. I served on various committees during medical school which included medical student council, as the multi-cultural committee representative. I volunteered to assist my medical school during interview season and I felt privileged to promote our school’s successes. In residency, I served as chief resident for the University Hospital as well as a member of our education committee. Residency exposed me to advocacy through my membership with the American Academy of Neurology. In March 2014, I participated in Neurology On the Hill (NOH), which is sponsored by the AAN. NOH works to bring neurologists from all over the country to advocate for our profession on Capitol Hill. The experience at NOH has led me to continue my efforts in advocacy as I prepare to participate in the Palatucci Advocacy Leadership Forum (PALF) in January 2015. Worked directly with multi-disciplinary teams to promote cohesion and improve patient care of neurologic patients at University Hospital and IU Simon Cancer center.